Nothing like colourful jewellery to brighten up the day – and boy, do we need a bit of brightening here in England! With the weather being nothing short than miserable right now, I reached into my jewellery drawer and grabbed the most Summery thing I could find. 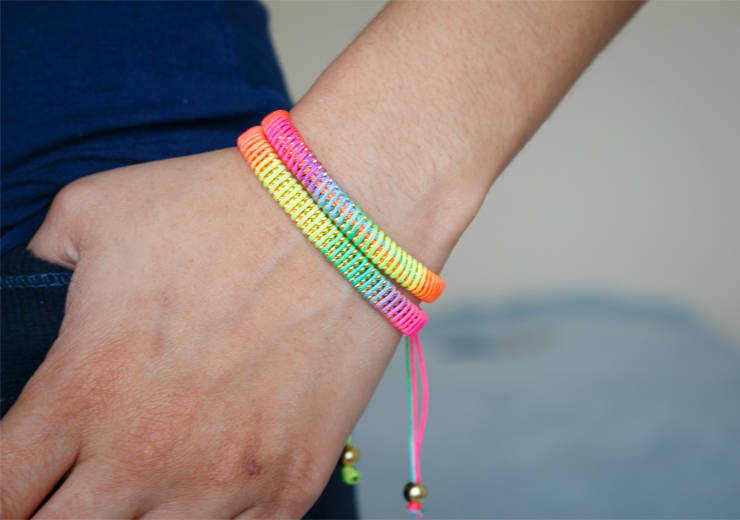 These are the Very Sisters Bahia Bracelets, made of gold beads and neon coloured polyester. 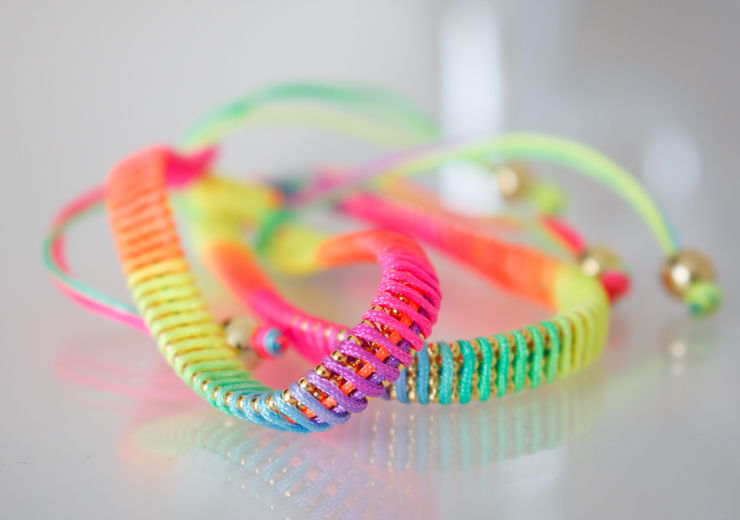 They are really well made and the perfect accessory for a Summer outfit! I also think they go nicely with other jewellery, such as my little gold jewelled bracelet that I wear all the time. You can stack them up or mix and match a bunch of different styles and textured bracelets to add a more casual vibe to the look. Of course, being from the northeast of Brazil, I’m very familiar with Bahia; in fact, I pretty much spent my entire life going there every other weekend, so I really liked that these bracelets were named after a place that is very close to my heart! In terms of sizes, you can make them as wide or narrow as you want; just pull the strings apart to loosen them and adjust the size accordingly. 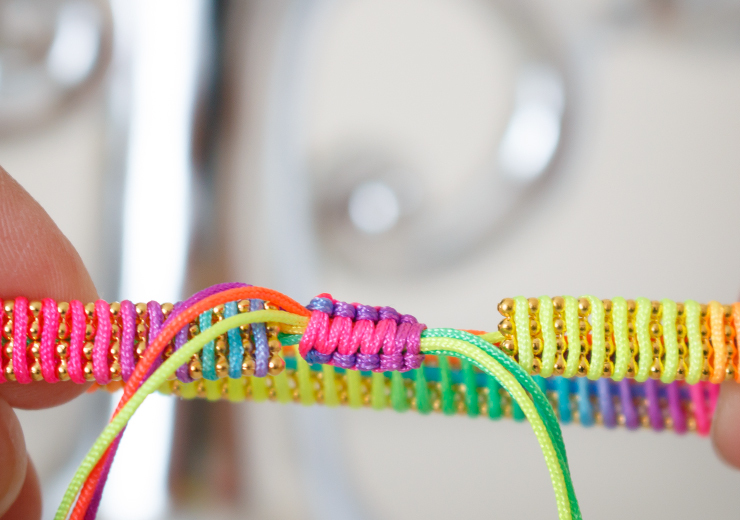 If you don’t like the dangly pieces of string, you can tuck them into bracelet or tie them together. I think you can find similar bracelets in any accessories shop where you live, but these particular ones from Very Sisters are super pretty, girly and summery! 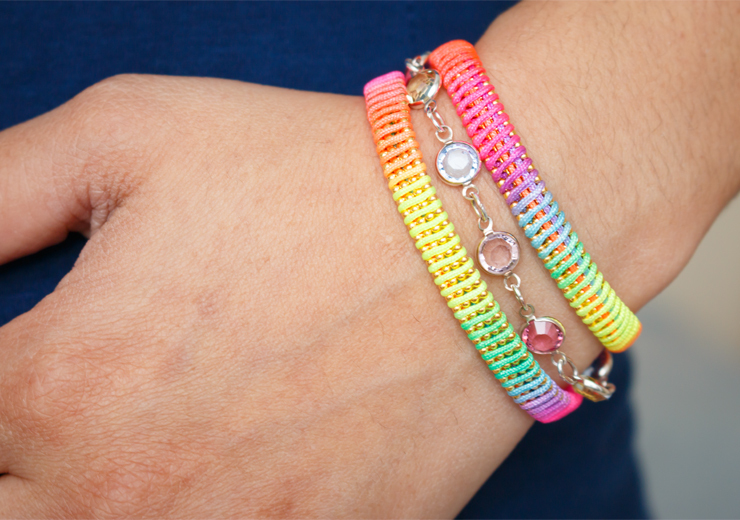 They also do a couple of other styles and I’m loving the braided bracelets! They are a luxury brand, which is reflected on their prices, but that doesn’t bother me too much, as long as there’s quality there to back it up, which in this case, there certainly is. Very Sisters are a French brand, but they are available all over the world! Click here to see where you can find stores that stock Very Sisters jewellery. Alternatively, their online shop deliver internationally, so if you can’t find a nearby stockist, you can order from the comfort of your home. 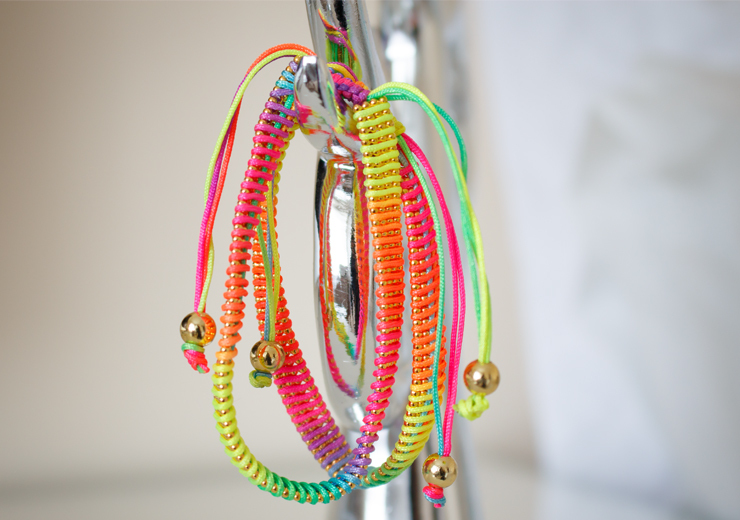 What do you think of the Very Sisters Bahia bracelets? What are your favourite Summer accessories? These are so pretty! Like you say, perfect for summer!